Way I look at it now they was testing us. Put a handful of niggers in this test tube and shook it up and watched it bubble. Was we gon blow up or blow up the school…Set us down the middle of a place Negroes never been before…Then shook up the tube. In many ways, the experiment at Penn in the 1960s was just that – an attempt to integrate the Penn campus. 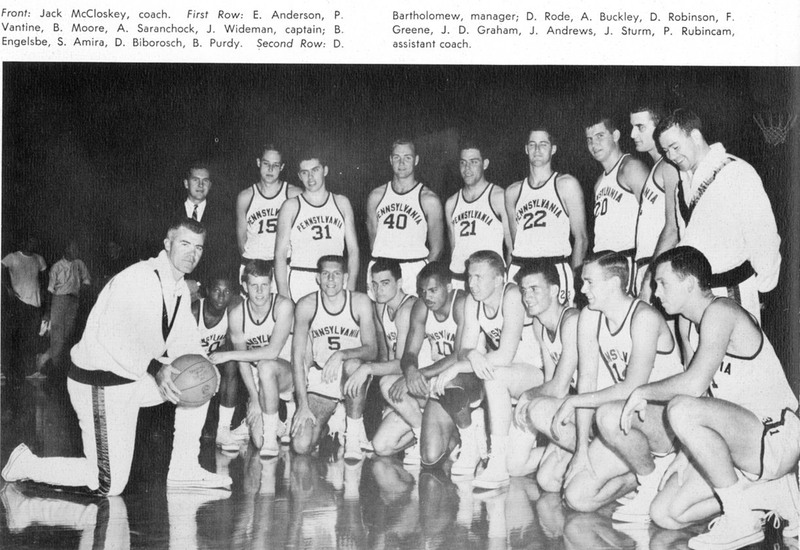 From that lens, John Wideman and Ed Anderson could not have been more successful at Penn. Between the two men they literally won almost every campus accolade possible. They were put up on a pedestal by the Penn community, admired by both student and faculty alike. Wideman and Anderson perfectly embodied the ideal Ivy League student-athlete, leading Penn to a Big Five championship, and excelling off the court as leaders and scholars. Even today, Wideman and Anderson act as leaders in their respective fields – Wideman as a writer and Anderson as a cardiologist.Alongside all of this wonderful success, though, the experiment had underlying problems. Serious racial issues existed at Penn. With such a miniscule number of African American students, the University did not serve as a hospitable place to those who differed from white norm, athlete or not. Despite the struggles that minority students faced, the success of Wideman and Anderson exposed the blatant under representation of minorities at Penn and forced the administration to consider and eventually champion equality and integration.